Whether it’s Maine’s foliage in autumn or vacations on Cape Cod in the summer, New England is the ideal place to really immerse yourself in the seasons. This is especially true when it comes to winter. Yeah, New England winters are cold. But they’re also filled with perfect snowball snow, Christmas cookies, festive lights, and traditional holiday cheer unlike anywhere else in the country. Nothing exudes Christmas spirit like settling into an 18th-century inn by the fireplace, attending a traditional town tree lighting, or watching as Santa sails into town on a lobster boat. 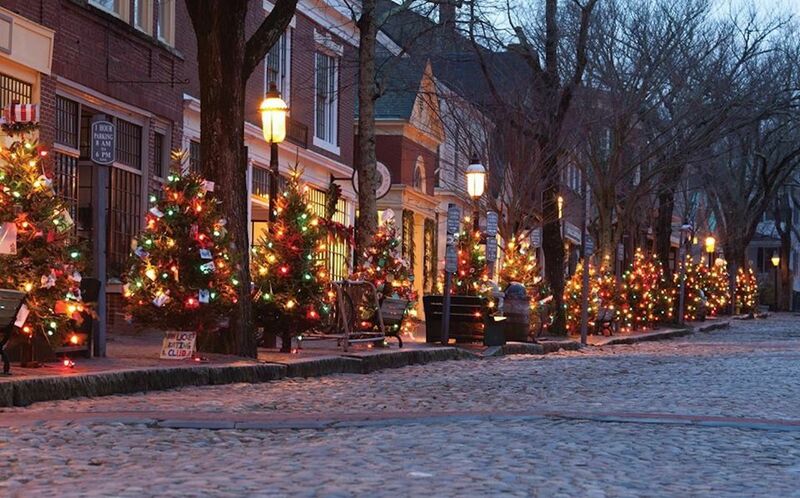 From the White Mountains to Nantucket, these small New England towns take Christmas to the next level. Freeport is known throughout New England for its wide array of outlet stores and for being the home of LL Bean’s flagship store. But it’s also one of the most festive towns in the area come Christmas time. 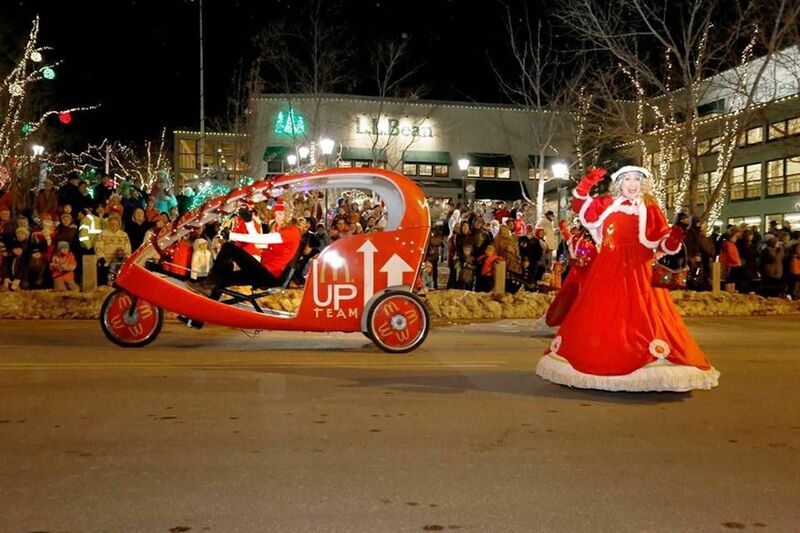 The annual Sparkle Weekend will be held this year from December 7 to December 9. 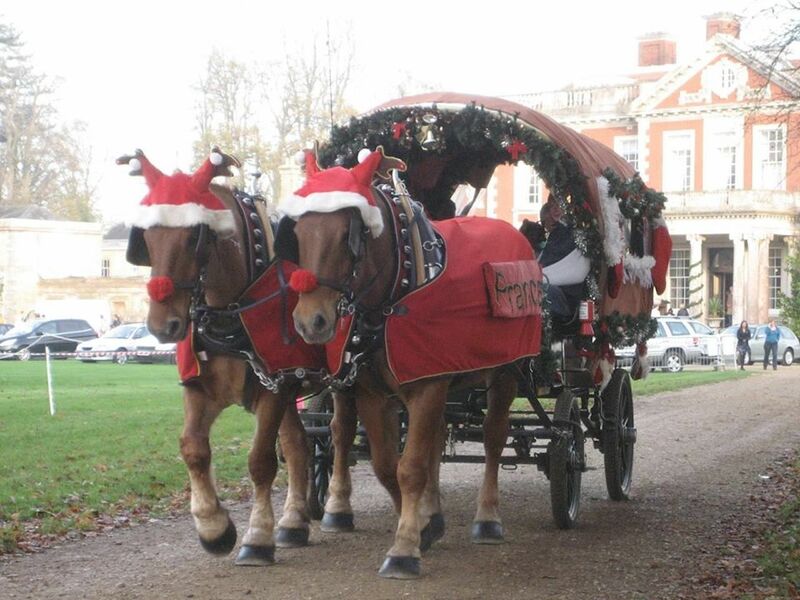 It features a range of events that will really get you in the Christmas spirit, like the Talking Christmas Tree, old-fashioned horse-drawn wagon rides, and a vintage arts and crafts market. At the workshop at Wilbur’s of Maine chocolate factory, the whole family can learn how to make a chocolate house. There’s also a holiday decorating contest, LL Bean’s Discovery Forest — featuring over 600 light-covered trees — and, of course, the Annual Worldwide Tuba Concert. When you think of Nantucket, it’s probably all summer cottages and beaches, but this island is more than just a warm-weather destination. On the annual Noel and Christmas Stroll weekend, the island’s cobbled streets come alive with craft shows, concerts, a Christmas marketplace, and community caroling. The centerpiece of the weekend, however, is when Santa Claus arrives triumphantly on a Coast Guard ship and joins Santa’s parade as it marches up Main Street. This year’s stroll is themed “A Beautiful Stroll in the Neighborhood” to commemorate the 50th anniversary of the TV debut of “Mister Rogers Neighborhood.” The Stroll will take place from November 30 to December 2, with Santa arriving on Saturday, December 1. If you want the perfect coastal Christmas experience but don’t want to trek all the way down to Nantucket, Kennebunkport puts the perfect New England twist on the holiday. From lobster bakes to trolley rides and chocolate bars, the Christmas Prelude has all the Christmas spirit you can handle. 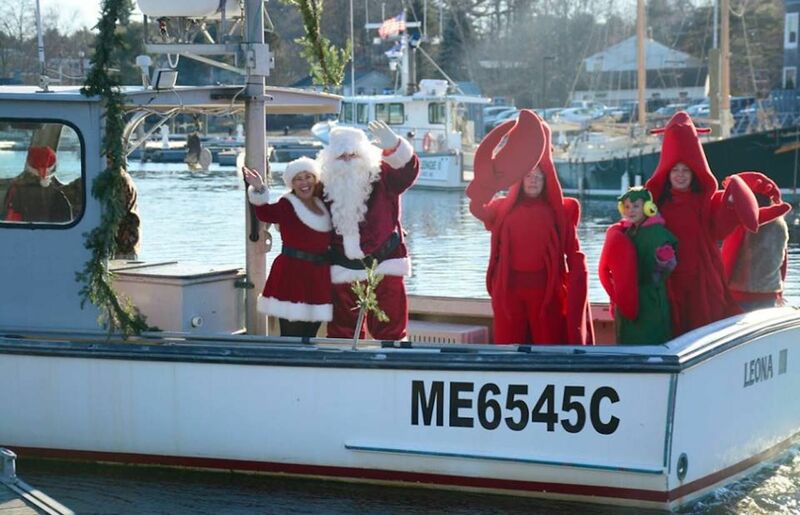 Like in Nantucket, Santa will arrive by sea, riding on a lobster boat that will dock at the Boathouse Waterfront Hotel on Ocean Avenue. Accompanied by his Lobster Elves, he will make his way to the Community House on Temple Street for photos. And in case you haven’t done your Christmas shopping yet, stores will be open late and offering free holiday treats. Art connoisseurs may recognize Stockbridge from the famous Norman Rockwell painting, “Stockbridge Main Street at Christmas.” The painting is meant to epitomize a cozy small-town Christmas atmosphere, and fittingly, the town itself doesn’t disappoint. From November 30 to December 2, the town offers holiday readings, historic house tours, caroling, and a holiday concert. To cap off the weekend, Stockbridge really embraces its Normal Rockwell association by recreating the exact scene from the famous painting. Vintage cars are parked in the spots seen in the picture, invoking a fond sense of nostalgia, and reminding visitors that Stockbridge is indeed the perfect New England Christmas town. The full schedule of events can be found here. Woodstock’s Wassail Weekend, named after an English medieval drinking ritual, might be one of the most unique Christmas celebrations in New England. Wassail Weekend features classic light displays, decorated historic homes, a breakfast with Santa event, and even a traditional 19th-century farm-style Christmas at the local Billings Farm. But the most memorable part of the weekend is undoubtedly the parade, which features over 50 horses and riders in period holiday costumes from the 1800s. 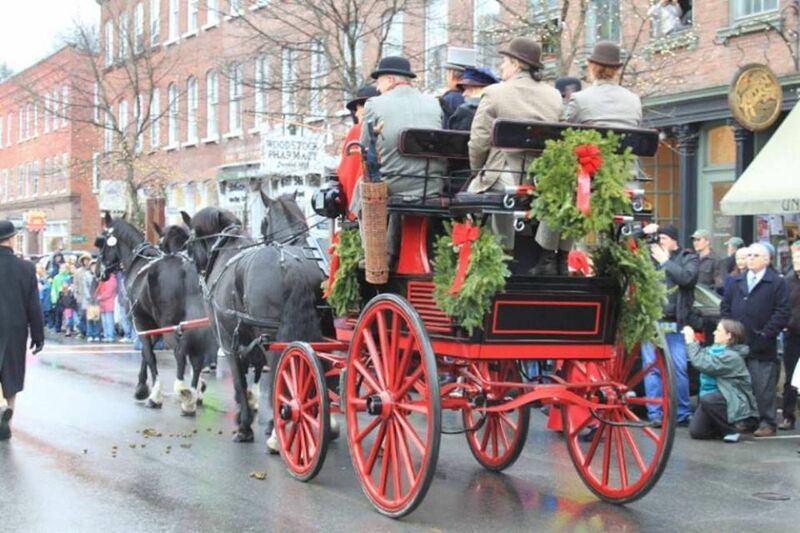 Wassail Weekend takes place from December 7 to December 9, with the parade happening on Saturday at 2:00 PM. If you’re lucky, you could even win a free trip to Wassail Weekend, courtesy of the Woodstock Area Chamber of Commerce. It would include two nights at the Woodstock Inn & Resort, two dinners, free sleigh-ride admission at the Billings Farm, and a host of other gifts. For some old school yuletide charm, take a trip through history at Old Sturbridge Village. This 18th-century reenactment village hosts its Christmas by Candlelight events every weekend in December. 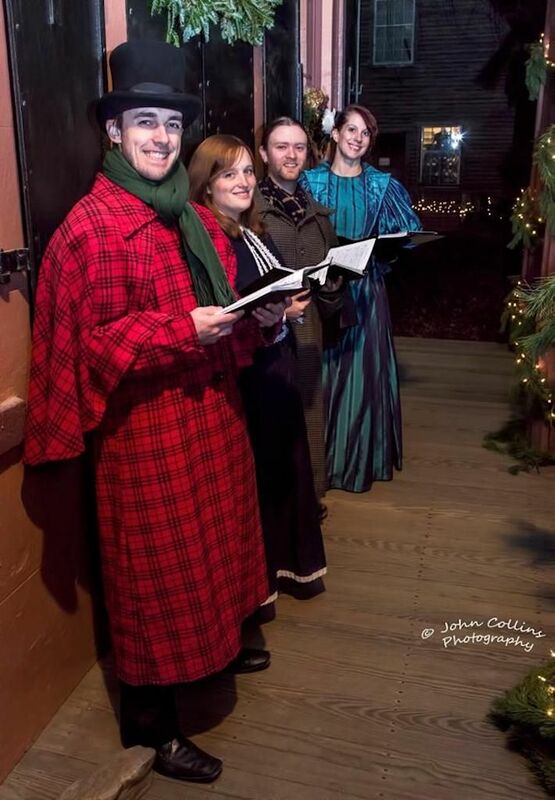 Events include a nightly tree lighting, a gingerbread-house contest, sleigh rides, and the reading of classic stories, all set against the backdrop of an authentic 1700s village. Eat a festive feast at one of the local taverns or even stay the night in a lodge. One-day tickets are $28 for adults and $14 for children. If you’d rather not stay in one place all weekend but still want a healthy (or maybe unhealthy) dose of Christmas charm, atmosphere, and treats, you should probably check out the Inn to Inn Holiday Cookie Tour in the White Mountains. From 1:00 PM to 4:00 PM on December 8 and 9, a self-guided tour allows you to journey through the White Mountains — the perfect Christmas setting — and visit several participating inns, each of which features traditional holiday cookies, candies, and Christmas decorations. And when you go home, you’ll actually be able to take home recipes so you can make the treats yourself. There are 11 inns participating this year: the Darby Field Inn in Albany; the Inn at Crystal Lake and Pub in Eaton; the Snowvillage Inn in Snowville; the Inn at Ellis River in Jackson; the 1785 Inn in Intervale; the Admiral Peary Inn B&B in Fryeburg, Maine; and the Eastman Inn, Old Red Inn & Cottages, Cranmore Inn, White Birch Inn, and the Samuel O’Reilly House in North Conway. For the full experience, you’ll want to take advantage of the Cookie Tour package offered by each inn. The package includes accommodation for two nights, breakfast, a cookbook, a custom-made ornament, and other keepsakes. Packages can be browsed here.